2. Gather the names, dates, and scores of each test that has been administered to your child (including tests that have been administered more than once). 3. 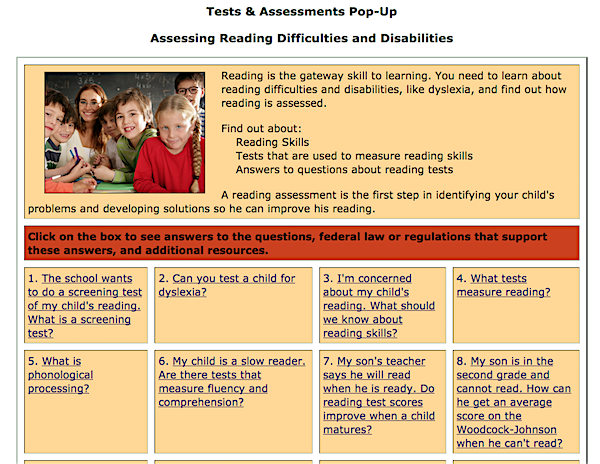 Make a list of all tests administered to your child. Arrange your list in chronological order. Begin your list with the tests that have been administered most frequently (i.e., WISC, WJ, WIAT, KTEA). 4. Find the *standard scores or percentile rank scores in your child's file. *5. If the standard scores are not available, ask the school for them. Request the data in standard score format. 6. First administration of a test battery: Write down all of the standard scores. 8. Most recent testing of the same battery. Write down all of the standard scores. 10. Compare the results of the first administration and the most recent testing. 11. Review the comparison of scores. Determine whether your child is being remediated (catching up), staying in the same position, or (regressing) falling further behind the peer group. 13. After steps 1-12 are completed, gather your material. — bell curve chart and standard score / percentile rank chart, list of test scores, and copies of your child's evaluations. 14. Consult with a private sector psychologist or educational diagnostician who can explain the significance of the scores using percentile ranks. Take your test data to the meeting. 20 U.S.C. Section 1414, Evaluations, page 92. 34 CFR 300.300, Evaluations, page 238. Table of Tests includes the new editions of ten tests with updated publisher and website information. In this 1.5 hour program, Pete Wright teaches you about the bell curve, mean, and standard deviations. You'll learn how to draw the bell curve and how to use your child's test scores to create powerful progress graphs. Pete will also teach you about standard scores, percentile ranks, subtest scores, composite or cluster scores, and subtest scatter. Reading assessment is the first step in identifying your child's problems and developing solutions so she can improve her reading. Find out about reading skills and what tests are used to measure these skills.